LONDON (Reuters Breakingviews) - Tech companies and open-internet campaigners think of the web as a neutral, global platform. That vision may become a relic of the past as countries including Britain and Australia speed through their own standards for acceptable online videos, pictures and articles. As new laws give teeth to local regulators, web groups’ margins may suffer. MILAN/LONDON (Reuters Breakingviews) - Fiat Chrysler Automobiles might gain from playing an M&A waiting game. Already the subject of interest from Peugeot of France, the $24 billion carmaker could face a bid from a merged Renault-Nissan, the Financial Times reported on Wednesday. Such a deal would be tricky and take time. But patience could give FCA better options to solve its tech and Asian headaches. LONDON (Reuters Breakingviews) - Berlin is pushing for the wrong German M&A champion. Officials including Finance Minister Olaf Scholz want to help embattled Deutsche Bank by merging it with Commerzbank. In reality, the combined 26 billion euro lender would probably be just as dysfunctional and still struggle to earn its cost of capital. Encouraging a 102 billion euro auto giant via a union between BMW and Daimler makes more sense.  LONDON (Reuters Breakingviews) - On the face of it, the English Premier League is on a high. Millions of fans worldwide watch its matches every weekend, and its 20 member clubs generate as much revenue as their Spanish and Italian rivals combined. Half of the eight quarter finalists in this year’s UEFA Champions League are from England. LONDON (Reuters Breakingviews) - Volkswagen’s Herbert Diess has effortlessly claimed pole position on the grid of foot-in-mouth chief executives. The boss of the 74 billion euro carmaker on Thursday apologised for evoking a Nazi slogan by saying “EBIT macht frei”, and was forced to acknowledge that his company’s dark history gave it a “special responsibility in connection with the Third Reich”. Call it peak gaffe. LONDON (Reuters Breakingviews) - Spotify is pitching its complaint against Apple to a willing European audience. The Swedish music-streaming service has told antitrust regulators that its rival stifles competition. A case may take years. But the Stockholm-based group has adeptly timed its move to coincide with a broader backlash in Europe against U.S. Big Tech. LONDON (Reuters Breakingviews) - “Break up Big Tech” could become a slogan in the U.S. 2020 presidential elections if Democratic hopeful Elizabeth Warren has her way. But a report for the British government on Wednesday proposed a smarter way to tackle the dominance of behemoths such as Facebook, Google and Amazon. LONDON (Reuters Breakingviews) - Renault and Nissan Motor’s Yokohama love-in swerves around the main issues with the carmakers’ alliance. The French auto group has agreed its chair will no longer hold the same position at its Japanese partner, as it did under former leader Carlos Ghosn. But wider talk of equality is no substitute for solving the alliance’s fundamental problems. BARCELONA, Spain (Reuters Breakingviews) - American government officials attending this year’s Mobile World Congress at least avoided endorsing the company they had come to lobby against. The delegation from the U.S. State Department brought their own lanyards to the telecom industry’s annual shindig to avoid wearing the standard-issue passes bearing the name of conference sponsor Huawei. LONDON (Reuters Breakingviews) - European telecoms consolidation is rumbling along, and Liberty Global Chairman John Malone is once again taking his chips off the table. The “cable cowboy” and his Chief Executive Mike Fries are selling sub-scale cable businesses to mobile companies at rich valuations. They’re banking upfront the benefits that buyers hope to reap by bundling together the different services, and likely getting the better side of the bargain.